R unning hass been in Cliff’s blood since he was a child. His father, the founder of the BOLDERBoulder started running in the early 1970’s following his father’s death as a result of a second heart attack when he was only 60 years old. From that point on, the entire family was introduced to and became very involved in running. From the early 1990’s Cliff served the BOLDERBoulder organization as an Assistant Race Director. Then in 1994 he worked with his father on behalf of the Bank of Boulder and the BOLDERBoulder to create the Bolder Bicycle Classic and to serve as its first event director. Again, as a family affair, his younger sister Elizabeth assisted to launch the inaugural ride and his other sister CeCe assisted as Event Director for the following three rides. They led the event until the late 1990’s at which time the event was given by the BOLDERBoulder to the University of Colorado. The event exists today and is called the Buffalo Bicycle Classic. 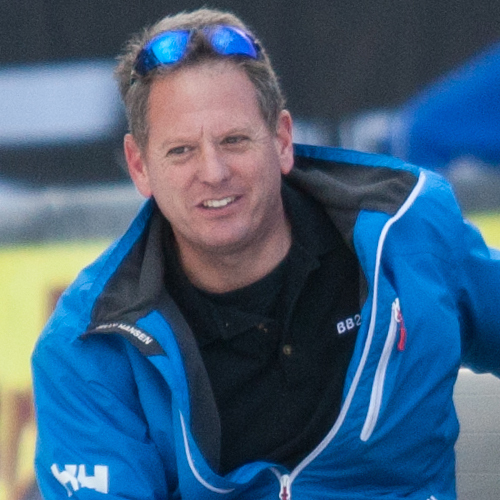 Coinciding with work at the BOLDERBoulder, he was able to work in the Bank of Boulder’s Marketing Department from 1990 until 1998. In 1998 he was named the 7th Race Director of the BOLDERBoulder and is honored to continue to serve the BOLDERBoulder as its director today.